Can You Wear Soccer Cleats for Softball? The answer to whether you can wear soccer cleats for soccer is, "it depends." If you're the parent of young athletes tearing from one recreational league to another, the soccer cleats can do double duty for softball. If you're an older, serious competitive player, you'll want to get softball footwear to enjoy the best possible traction for batting and base running. You'll want the toe cleat found only on softball footwear if you're serious about your softball game. You won't be able to bring your softball shoes to soccer games as the toe cleat won't be legal. 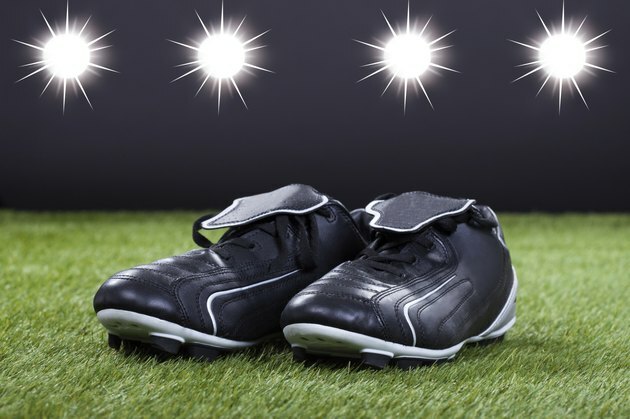 If you're a parent looking to not spend extra on rapidly growing feet of your multi-sport youth player, you can almost certainly get soccer cleats to work for both sports. Or, if you're an adult player in a fun league, soccer cleats may be league or encouraged. Check the league rules for confirmation. You won't be able to have softball cleats work for both sports since the toe cleat is banned by U.S. Youth Soccer. It's likely to be checked by the refs or noticed by opposing players and coaches. West University Softball Association: Is There Any Difference Between Soccer Cleats and Softball Cleats?